We run regular ‘Volunteer Days’ at Drayton and Hallr Woods to manage our woods and improve bio-diversity. These days are a chance to learn skills and enjoy being outside doing conservation and general woodland jobs. We welcome young and old (although children under 12 should be accompanied). These are advertised on our callendar and through facebook events. Duke of Edinburgh volunteers are welcome. There are also opportunities to help with our group generally; manning a stall at an event, helping with publicity and marketing, administration, fund raising and repairing equipment and resources. Our group has also helped organize village litter picks as part of our wider environmental aims and we are linked in to local transition town movements. We hold regular OPEN DAYS at our sites. Volunteers interested in becoming forest school leaders are welcome to help on sessions subject to leader approval. We have mentored and supported many leaders, including providing opportunities for portfolio sessions. However anyone who visits or helps on sessions attended by children will work under supervision and is obliged to follow our Child Protection Policy. They are also expected to provide referees and have a DBS check in place. We can process DBS through SPARK for our volunteers working with children and vulnerable adults. AT HALLR WOOD. 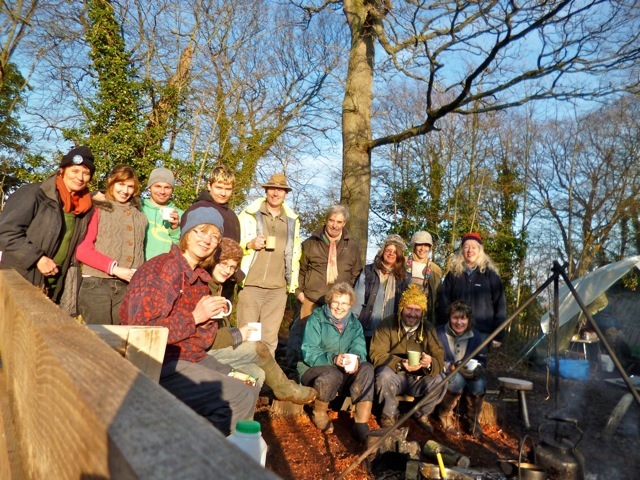 We are always looking for volunteers to help on a long term basis on Wednesdays at Hallr Wood, our woodland project in Charlton Mackrell near Somerton. We especially need help with our vegetable growing area and with woodland mangement and other projects but there are options to get involved on many different levels including forest school delivery to children and young people. 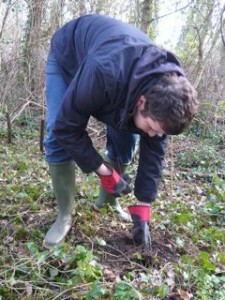 AT DRAYTON WOODS Hannah needs volunteers to help with the upkeep of Drayton Woods, also on week day after school forest school Friday sessions, family sessions, holiday play and ‘Woods for Well Being’ sessions. 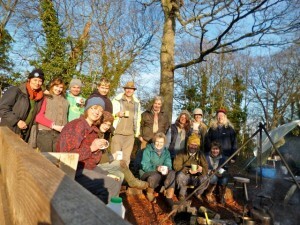 Contact hannah@wilderwoods.org or phone 01458 252463. Most events for volunteers are advertised in our calendar but it is worth calling Jane, Deb or Hannah for more information and to check on availlability of extra sessions. Do come and join our friendly group!